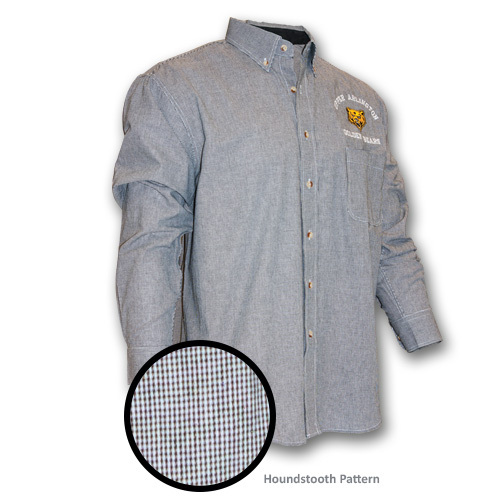 Dress your staff, coaches, teachers and boosters in style with our houndstooth button down shirts. The houndstooth gingham is a polished, professional way to proudly display your school name, sports, mascots and logos. Choose from a variety of colors and sizes! View embroidery designs in our Sport Shirt Catalog.